1.1. Minimum Charges 400US$ per Property/Villa or 1000$ for 3 Property/Villa. 1.2. Payment to Agency is made in advance before showing Property/Villa. 1.3. Payment for service is Non Refundable. 1.4. Agency has reserve rights to adjust 50% amount of Property/Villa Show Fee after Booking Confirmation of showed property with Agency special conditions. 2.1. Customer understand Property/Villa show around is only on special paid request and chargeable. 2.2. Customer cannot take any photo/s or video/s of Property/Villa. 2.3. Customer promise to co-operate for duration and distance of each Property/Villa. 2.4. Customer agrees to provide before show Property/Villa all information including ID proof (Passport/Driving License) for other person/s who will accompany with Customer. 2.5. Any kind of Damage/s during Property/Villa show in Property/Villa by customer or by his accompanies/s person will be sole liability to pay 100% amount then and there by customer. 2.6. Duration of confirmation for Property/Villa which showed under this agreement will be maximum 24 hours. 2.7. Any refund request will not apply in case of Customer not like Property/Villa due to any kind of reason. 2.8. Agency is only showing Property/Villa on behalf of owner of Property/Villa and Agency is not responsible for any kind of change in real Property/Villa condition and Property/Villa photo/s as Agency is showing Property/Villa on “AS IS” basis. 2.9. Maximum number of person for Property/Villa show around is limited to Three (3) Including customer. 3.1. Agency confirms time for Property/Villa show around with owner. 3.2. Agency authorized person will give all necessary information regarding each property. 3.3. Agency will start Property/Villa show only after 100% Advance Payment. 3.4. Agency has right to show Property/Villa to other Customer in same time. 3.5. Agency can rent same Property/Villa to any other Customer on first come first serve basis. 3.6. Agency reserves right to check Identity of each person who is willing to see Property/Villa including Customer and his accompanies/s. 3.7. Agency reserves right to refuse to show Property/Villa at any time of duration. 3.8. 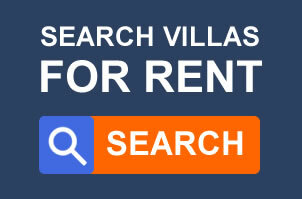 Agency has rights to know reason for rent Property/Villa if let duration is more than 3 weeks. 3.9. Agency has right to charge additional amount for extra time and extra properties. 3.10. Customer or any his Agent / relative / friend cannot book showed Property without written permission of Agency. 3.12. Agency is not responsible for any kind of modification of Property/Villa as Agency is showing Property on “AS IS” basis.